• Creating Better Parks - Have Your Say: Last Chance! There’s a lot happening in Brimbank in October, including fun activities and the opportunity to take part in important consultations. This month also marks one year until the Brimbank Council elections will be held in October 2016. It’s your Council and it will be your responsibility to elect Councillors for the first elected Brimbank Council after what will be a seven-year period of administration. The election in October 2016 will be conducted by postal voting. Please ensure you are enrolled with the Victorian Electoral Commission. If you want to stand for Council, information is available on the Brimbank City Council website. Visit brimbank.vic.gov.au/mycouncil for more information on the Brimbank City Council October 2016 elections. 9.15-10am – Get into Cardio Tennis suitable for adults of all skill levels. Register now! Now in its third year, Carols at the Castle is an outdoor, family-friendly event set in the beautiful gardens of Overnewton Castle. This year's impressive line-up of festive music features traditional carols, local performers and guest artists who will bring the magic of the season to youbank. Tickets are available and selling fast! Get your tickets now! Start your day in a healthier way, bring your bike and the family to this no charge community celebration of all things cycling. Join us for free community brekkie including sausage sizzle and delicious healthy options. No charge activities on the day include bike tune ups courtesy of Ray’s Bicycles and massages courtesy of Total Wellbeing Massage and Naturopathy. This event will also mark the official opening of the Sunshine Trail shared user path. 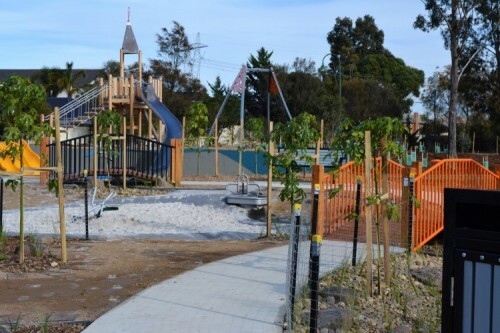 Creating Better Parks - Have Your Say: Last Chance!